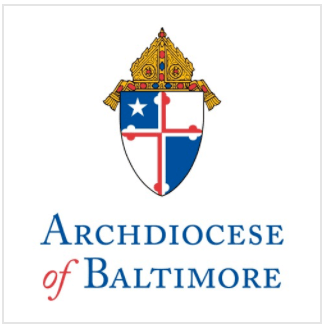 Dr. Barbara McGraw Edmondson, Superintendent of Schools for the Archdiocese of Baltimore, recently met with leaders of 26 dioceses and archdioceses to explore innovative solutions to the financial challenges Catholic schools face. The meeting took place at the National Catholic Educational Association’s Financial Summit on Catholic Schools at Loyola University, Chicago. “The goal of the summit was to encourage Catholic leaders to think of innovative ways we can sustain and strengthen our schools. It was a substantive exchange of ideas and a great launching point. Ultimately, we must continue the conversation as collaborative leaders with a common mission.” said Dr. Edmondson. The summit drew Catholic bishops, chief financial officers, and school superintendents from Catholic school systems across the country with enrollments of 20,000 or more students. A “New Ideas” panel featured Dr. Kevin Baxter, Archdiocese of Los Angeles elementary schools superintendent, who looked at innovation and growth; Anne P. Battes, president of the Archdiocese of Cincinnati, Ohio, Catholic Education Collaborative, who talked about how the collaborative unites communities for excellence; and Jeffrey L. Hausman, founder and executive director of the Jesuit Virtual Learning Academy, who discussed the role of technology as a renewal tool for Catholic schools. Conference sponsors included the National Catholic Educational Association (NCEA); the United States Conference of Catholic Bishops Committee on Catholic Education; Loyola University Chicago; Catapult Learning of Camden, N.J.; TADS of Minneapolis, MN; FACTS Management Co. of Lincoln, NE; and William H. Sadlier Inc. of New York, NY. The Archdiocese of Chicago provided help and support. The Archdiocese of Baltimore’s Catholic schools provide an academically excellent, Christ-centered education that empowers students to reach their full potential. For more information about our schools, please call 1-800-5-Catholic or visit www.archbalt.org/aplacetogrow.